B&H offers the Apple Watch Nike+ Series 3 GPS + Cellular Smartwatch on sale, 38mm starting from $269. 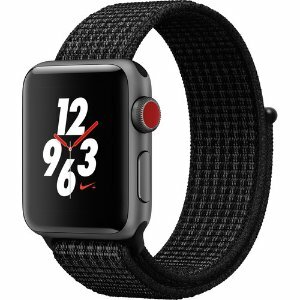 Features: Stay connected in style with the 42mm GPS and cellular-equipped Apple Watch Nike+ Series 3, which comes with a silver anodized aluminum chassis and a bright crimson and black Nike sport loop. Designed for users looking for the next generation of connectivity, Apple's Watch moves your iPhone's apps and functions to your wrist, so you can do more while leaving your phone in your pocket.